Finding the right night-time nappy can take some time. Most people need to try a few variations of nappies and absorbent inserts to get the one that works best for their baby. 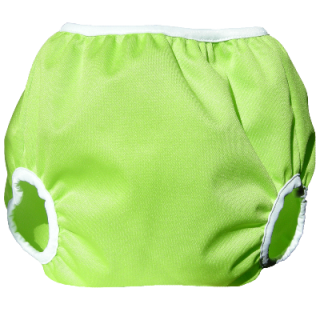 Two-part nappies - so a separate waterproof wrap and a separate nappy - work best for night-time. 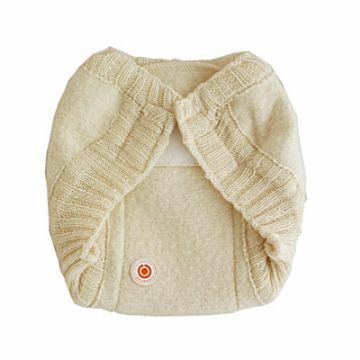 Depending on what you use during the day, you could start with cotton (Bummis prefolds) and boost with bamboo (Little Lamb boosters). 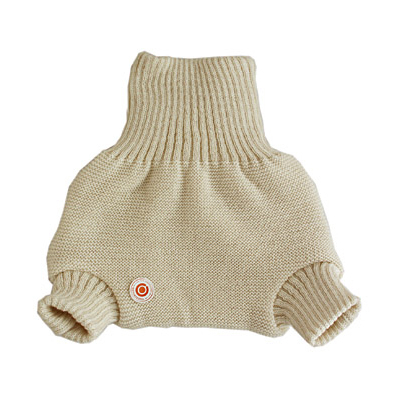 Top with a fleece liner to stop moisture coming back onto baby's skin. 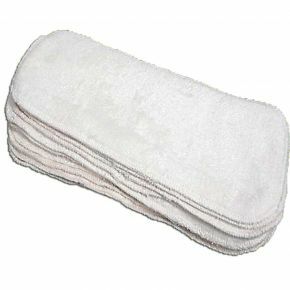 Some people find two microfibre inserts (Flip) and cotton (Bummis prefolds) work well too. You may need to go up a size in the wrap. Wool wraps (Disana) work well for night as they allow moisture to evaporate. The Tots Bots bamboozle at night with a Bummis (Pull-on for easy changing) or Disana wrap is a recommended combination. Super absorbent, soft to touch and slim, this bamboo booster is the best one we’ve tried when extra absorbency is required.